DAYTONA BEACH, Fla., Oct. 24, 2018 – The LPGA Teaching and Club Professional (T&CP) membership today announced the following members as winners of the 2018 national awards in acknowledgement of their dedication and achievements: Tina Tombs, Arizona Biltmore Golf Club, Phoenix, Arizona, Teacher of the Year; Kelley Brooke, Bethpage Black Golf Course, Farmingdale, New York, Professional of the Year; Christa Teno, Seminole State College of Florida, Stanford, Florida, Coach of the Year; Mackenzie Mack, The First Tee of Tampa Bay, Tampa, Florida, Junior Golf Leader of the Year. The national award winners were selected by the LPGA T&CP membership’s Executive Committee from the pool of the section award winners voted on by officers of the six regional sections: Central, International, Midwest, Northeast, Southeast, and Western. The LPGA established the National Teacher of the Year Award in 1958. The award is given annually to the female golf professional who has demonstrated outstanding accomplishments related to the teaching of golf during the year. A former LPGA Tour player whose only career win came at the 1990 Jamie Farr Toledo Classic, Tombs has been an LPGA Resident Instructor at Arizona Biltmore Golf Club since 2003 and Director of Instruction there since 2009. She has developed a ‘state of the art’ educational system at Arizona Biltmore Golf Club where she implements programs at all levels, ranging from youth to amateurs, and from women and businessmen to professionals. Tombs was ranked among Golf Digest’s top-10 amateur golfers in 1984 and while a collegiate player at Arizona State University, she won two tournament titles and was a two-time NCAA All-American. She played on the LPGA Tour from 1988-1999, her best results coming with her victory at the 1990 Jamie Farr Toledo Classic and a runner-up spot at the 1993 Sara Lee Classic, where she posted a career-low 64 during the final round before losing to Meg Mallon on the third hole of a sudden-death playoff. A member of the LPGA for more than three decades, she has trained with the best psychologists, coaches and instructors the game can offer and in 2001 she decided to take this wealth of knowledge and share it with the community around her. In 2008, she joined the LPGA T&CP Membership and in 2010 she gained her Class A through the fast-track Certification process. During her time in the golf industry, Tombs has been the recipient of several prestigious awards. In 2014, she was voted the LPGA National Teacher of the Year and the LPGA Central Section Teacher of the Year. She was ranked among Golf Digest’s Best Teachers in Arizona for 2017-2018 and was listed in the T&CP’s Top 50 LPGA Teachers for 2017-2018. The LPGA T&CP Professional of the Year was established in 1980 and is awarded annually to an LPGA Teaching and Club Professional member primarily engaged in a golf operation, golf association or industry position, promoting the game through player development, growth of the game initiatives and other golf related activities. A veteran of three decades in the golf industry as a player, golf instructor and businesswoman, Kelley Brooke was awarded a 20-year contract in November of 2017 to operate Bethpage Golf Course and its five 18-hole layouts, winning that contract ahead of the PGA Tour and 10 other male-owned golf management companies. During a varied career in the sport, she has given 40,000 golf lessons, made multiple television appearances, and owned or co-owned several golf and entertainment venues. After moving to New York City in 1992, Brooke began transforming golf programming in that area from a relatively unorganized leisure activity to a highly organized and highly participated sport. Due to her dedication, thousands of women, men, juniors, seniors, children with special needs and economically disadvantaged children have learned the game and participated in leagues and programs. The highlights of Brooke’s time in NYC include the formation of The Police Athletic League Golf Program for 4,000 economically disadvantaged kids, the NYC Dept of Ed District 75 Golf Programs for children with severe disabilities, the NYC Junior Golf Club for children who seek instruction and tournament play, The Brooklyn Women’s Golf League and the Kelley Brooke/Golf Channel Junior Golf Camp. In 2004, Brooke was awarded the federal concession of managing Brooklyn Golf Center (the only driving range in Brooklyn) and Riis Park Golf Course. 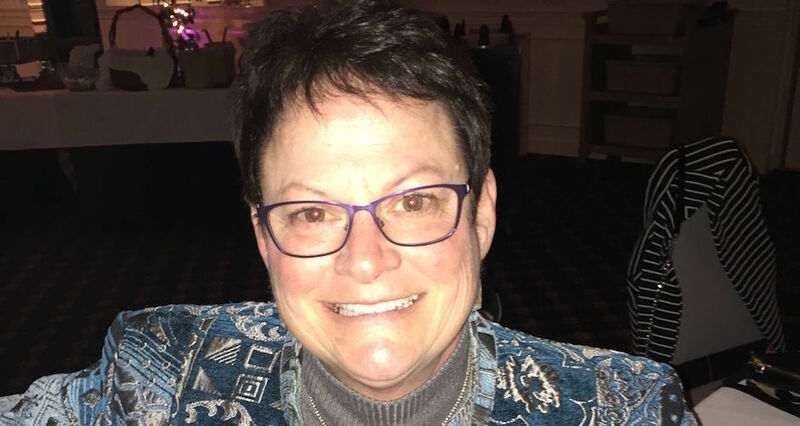 In 2006, she formed North Shore Golf Group and put in a bid to operate the busiest driving range in the country, successfully winning the contract for Alley Pond Golf Center and starting operations there in June 2007. Brooke has also spent three decades increasing public exposure for women in golf, proving that women can compete in an industry dominated by men. In the early 1990s she created, produced and hosted an instructional golf television program called ‘On the Tee with Kelley Brooke’ which aired in NY. She currently appears as a guest on The Travel Channel’s “Hotel Impossible”, acting as the golf expert when the show remodels a hotel with a golf course. A former LPGA Tour player, Christa Teno has been the head women’s golf coach at Seminole State since 2007 and has coached the Raiders to one National Championship (in 2015), four runner-up spots and two third-place finishes. She was named Southeast Section Coach of the Year by the LPGA Membership in 2008, 2012 and 2015. Teno went to North Texas State University on a golf scholarship from 1981-1985, graduating from there as a playing professional on the Futures Tour (1985-1997) and the LPGA Tour (1988-1991, 1996). She joined the LPGA Teaching Division in 1997 and won the LPGA Teaching National Championship in 1998. Teno was an LPGA National Evaluator from 2003-2013 and worked as an LPGA Teacher at several locations from 1988-2005. She was the Head Professional and General Manager at Bainbridge Country Club from 1997-2000, and went on to become the head coach at Seminole State in 2007. Teno was inducted into the Windsor Essex County Sports Hall of Fame in 2010, and into the NJCAA Coaches Hall of Fame in 2017. The LPGA T&CP Junior Golf Leadership Award was established in 2012 and is awarded annually to an LPGA Teaching and Club Professional member who excels in teaching and promoting golf for juniors. A stellar youth player who was recognized as one of GolfWeek’s top 100 junior golfers in the United States, Mackenzie Mack has been working since 2014 as Program Director for the First Tee of Tampa Bay, which reaches more than 60,000 students each year. She has created an affordable junior golf tour, developed curriculum to teach golf to middle school students with clubs in Hillsborough County, and brought a ‘Drive, Chip and Putt’ regional qualifier to Tampa Bay. As a junior golfer, Mack played for and was a member of the American Junior Golf Association (AJGA), the International Junior Golf Tour (IJGT), Teens on the Green and the Western States Golf Association (WSGA). She was awarded a full golf scholarship to Indiana State University (ISU) where she became the first black woman to compete as a member of the women’s golf team. During her time at Indiana State, she spent one season as assistant coach with the ISU women’s golf team and co-founded a non-profit organization called Tee it Up – a conduit to grow the game of golf and share her passion with underserved communities. In 2011, Tee it Up was awarded a grant that allowed Mack and her team to teach golf to children in Bitburg, Germany. Mack has since become a teaching professional member of both the LPGA T&CP and PGA of America. She is TPI certified, US Kids certified, First Tee certified, and High School Coach certified. She is a site director with the LPGA*USGA Girls Golf program and has held status as a playing professional on the Suncoast Ladies and LPGA Symetra Tours. The LPGA Teaching and Club Professionals (T&CP) membership, founded in 1959 as an outgrowth of the LPGA Tour, boasts the largest membership of women golf professionals in the world. LPGA T&CP members are certified as golf instructors, coaches and business managers through a comprehensive curriculum designed to meet the changing needs of the golfing public. Excellent! It was wonderful being able to trade ideas and meet new people in the golf industry. To this day, have not run into one LPGA Professional who doesn’t bend over backwards to make someone feel welcome that’s new to the organization or to help with advice. How much the LPGA organization cares about their instructors and players of the game. It’s all about the person and their overall enjoyment of playing golf. Go through the classes and take as many educational seminars as possible. It only helps you grow as an instructor. Anyone can play it at any age. And you don’t have to be good at the sport to enjoy it. Feet together drill! This helps a student focus on controlling their body and their tempo. DAYTONA BEACH, Fla., Oct. 15, 2018 – The LPGA Teaching and Club Professionals announced today Lynn Marriott as the recipient of the 2018 Nancy Lopez Golf Achievement Award, which recognizes an LPGA professional who gives back to the game in the spirit of Nancy Lopez. The Nancy Lopez Golf Achievement Award was created in 2007 and is given to an LPGA professional who emulates qualities valued by Lopez: Leadership, Passion, Giving, and Approachability. Lopez is a 48-time LPGA Tour winner and four-time Rolex Player of the Year. She was inducted into the LPGA Tour and World Golf Halls of Fame in 1987 and captained the victorious 2005 U.S. Solheim Cup Team. Marriott is globally recognized as co-founder of VISION54, and together with Pia Nilsson, has coached players to well over 100 victories on the LPGA Tour, PGA Tour, European Tour, Ladies European Tour and Japan Tour. They’ve coached nine different major winners and four top-ranked players in the world, including current Rolex Rankings No. 2 Ariya Jutanugarn. As a Class A LPGA and PGA teaching professional, Marriott is one of the highest ranked female instructors in America and is regularly featured among Golf Digest’s Top 50 Greatest Teachers. Marriott is also a best-selling co-author and has been previously honored as the 2008 LPGA Ellen Griffin Rolex Award winner and was inducted into the LPGA T&CP Hall of Fame in 2016. Marriott believes it is a coach/teacher’s responsibility to help students find their best swing and their best way of playing and nurturing their unique spirit of the game. Based on that belief, VISION54’s Golf Schools, 54GOLF, have been named the “Best Golf School in America” and VISION54’s Coach Programs, 54COACH, have repeatedly received the highest marks by peers. Barnard (2013), Angela Aulenti (2014), Teresa Zamboni (2015), Donna White (2016) and Sandy LaBauve (2017). The Nancy Lopez Golf (NLG) line provides unprecedented choice to the woman golfer in the selection of golf equipment and apparel. The four-step NLG Match Play Process also provides selection in club configuration to best fit the game of each woman. Nancy Lopez Golf embodies the spirit and energy of women’s golf and of its namesake, Nancy Lopez, who captured the imagination of people everywhere with her remarkable playing career and the genuine warmth of her charm. For more information about Nancy Lopez Golf, visit http://www.NancyLopezGolf.com. The LPGA demonstrates its dedication to the development of the game through The LPGA Foundation. Since 1991, this charitable organization has been committed to empowering and supporting girls and women through developmental and humanitarian golf initiatives, such as LPGA*USGA Girls Golf. Follow the LPGA on its television home, Golf Channel, and on the web via www.LPGA.com. Join the social conversation at www.facebook.com/lpga, www.twitter.com/lpga and www.youtube.com/lpgavideo, and on Instagram at @lpga_tour. Jane Frost, a member of the LPGA Teaching & Club Professionals (T&CP) who has coached LPGA Tour legends such as Jane Blalock, Nancy Lopez, Sandra Haynie and Pat Bradley, joins an elite group of her peers as the recipient of the 2018 Ellen Griffin Rolex Award. The Ellen Griffin Rolex Award, instituted by the LPGA T&CP Membership in 1989 to honor the late teaching professional Ellen Griffin, recognizes an individual, male or female, who made a major contribution to the teaching of golf and who emulates Griffin’s spirit, love and dedication to students, teachers, teaching skills and the game of golf. Frost has donned several hats during a 36-year career as a golf teacher, including assistant professional, teaching professional, director of instruction, director of golf, general manager and head professional. In 2002, she established the Jane Frost Golf School “to better provide a variety of programs for golfers of a wide range of abilities and economic levels” and in 2014 the school transitioned into The Jane Frost Golf Performance Center. One year later, the Center opened a state-of-the-art Golf Studio affectionately called ‘The Barn’ – a direct inspiration from Miss Griffin’s ‘The Farm’. The Center’s coaches provide club fitting, youth programs, adult new golfer programs and family programs, while the Center has also established a tradition of organizing charitable benefits for organizations such as The Sandwich Food Pantry, Breast Cancer Research, The American Heart Association, Alzheimer’s and Lupus Foundation. Past recipients of the Ellen Griffin Rolex Award are: Peggy Kirk Bell, 1989; Linda Craft, 1990; Shirley Englehorn, 1991; Harvey Penick, 1992; Goldie Bateson, 1993; Carol Clark Johnson, 1994; Joanne Winter, 1995; Ann Casey Johnstone, 1996; Dr. DeDe Owens, 1997; Shirley Spork, 1998; Betty Hicks, 1999; Gary Wiren, 2000; Penny Zavichas, 2001; Annette Thompson, 2002; Dr. Barbara B. Smith, 2003; Marjorie Burns, 2004; Pat Lange, 2005; Donna White, 2006; Betsy Cullen, 2007; Lynn Marriott, 2008; Kay McMahon, 2009; Mary Beth McGirr, 2010; Dr. Debbie Crews, 2011; Dr. Betsy Clark, 2012; Kathy Murphy, 2013; Kerry Graham, 2014; Dana Rader, 2015; Pia Nilsson, 2016; and Sandy LaBauve, 2017. Rolex is the official timepiece of the LPGA and sponsors many of the LPGA’s annual awards, including the Ellen Griffin Rolex Award, Rolex Player of the Year and Louise Suggs Rolex Rookie of the Year awards. Rolex honors the LPGA Tour’s Rolex First-Time Winners and is a supporting sponsor of the annual LPGA T&CP National Championship. At tournament sites, Rolex has a presence by providing the official time at selected tournaments and advertises in many event programs. DAYTONA BEACH, FLA. – Minnesota native, Barbara Moxness, won the Senior Division of the 2018 T&CP National Championship, held on Pinehurst No. 8 in August. It wasn’t her first win in that division – she also won in 2012 – and it probably won’t be her last. But in some ways, it may just be her most satisfying. Not only did Moxness outplay everyone in the Senior Division, which includes competitors age 50 and over, but she beat every player in every division in the entire National Championship, finishing with the lowest 54-hole total, a 4-under-par 212! Moxness is no stranger to tournament play. She qualified for the LPGA Tour in 1978, finishing in the top ten in all LPGA Majors including the USGA Women’s Open, The Nabisco Dinah Shore, The LPGA Championship and The DuMaurier Classic. She had three second-place finishes and ranked 18th on the money list in 1982. But something was missing. “Why didn’t I compete better?” lamented Moxness. “I was frustrated and started to lose my love for the game.” She left the tour in 1986 to raise her family. Shortly thereafter, she met San Diego golf teacher, AJ Bonar, whose unconventional approach to teaching the golf swing turned her game around. She shot a 67 in the first competitive round she played after using what he taught her. Moxness’ 2018 Senior Division win included another accolade: she also picked up the coveted Shirley Spork Super-Senior Award, which recognizes players aged 65+. The award was established at the 2009 T&CP National Championship by LPGA Founder, Shirley Spork. This dual win was the first occurrence since the inception of the Super-Senior award, which is a strong testimony to the effectiveness of the “Moxie Process,” perhaps proving that anyone of any age can play to their potential by using Moxness’ hands-first method. “It’s fun to teach this way!” adds Moxness. I am the Owner of Fore in One Golf Services / Mary Hafeman Golf Experience. MHGE provides an overview of the golf experience from exceptional golf instruction, inclusive player development programs, customized travel, tournaments and outing series and social networking opportunities for the inexperienced player to the professional golfer. I have two locations, Deercreek Country Club in Jacksonville, Florida and Missing Links Golf Club in Mequon, Wisconsin. I was one of the first PGA members to fast track to LPGA Class A membership. At that time, you could apply to fast track, but you must complete and pass the writing and teaching test within 3 months. I was fortunate to be able to accomplish that task within the timeframe. I am very happy that I decided to become a LPGA member. It is very rewarding being associated with an active association promoting golf, especially to women and girls. I enjoy networking with fellow professionals and mentoring new apprentices. I would encourage them to get involved, network, find a mentor and advocate that will help them navigate not only the LPGA but the golf business. What do you love most about the game of golf? Golf is a lifetime activity that can be played with family and friends. It’s always changing which challenges you to never give up. A storied career on the links will be recognized on Monday in Toledo as Defiance’s Martha Mallott will be inducted to the Toledo Golf Hall of Fame at a Toledo Country Club reception following a scramble fundraiser. Mallott, who has been inducted into the Defiance College and Defiance High School Athletic Hall of Fames, has a litany of accomplishments considered for the award from a playing and coaching career spanning four decades. “I was so excited when I was called and told that I would be inducted into this year’s Toledo Hall of Fame,” said Mallott, who coached golf at DHS for 14 years and four seasons at Defiance College. “To think that a little girl from Defiance could come to Toledo and compete and end up being inducted in its Golf Hall of Fame is really overwhelming. Mallott has won 12 tournaments in the Defiance area while claiming 10 Toledo Women’s District championships and being named District Player or Co-player of the Year five times. Mallott also finished as runner-up in the 1998 Ohio Women’s State Amateur tournament while qualifying for the USGA Girls Junior in 1975 and the USGA Women’s Amateur in 1998. Mallott’s journey through the golf ranks has been equally as notable when her name is not on the leaderboard as the DHS grad served as Eagle Rock Golf Club’s head professional for almost four years and has been a site director for 15 years for the LPGA-USGA Girls Golf Organization, this year heading things up at Inverness Club in Toledo and at White Pines Golf Course in Swanton. Having also served as First Tee coach for five years at Auglaize and White Pines, Mallott will add to her hardware following Monday’s honors, joining her 2017 LPGA Midwest Section Junior Leader Award. Mallott’s impact on the local golf scene is unquestioned after helping found the Ohio Women’s Open Championships 12 years ago, which had a record 83 players and 20 pro-am teams at the most recent group in June. Mallott, a previous tournament and executive director is now vice president of the championship tournament. “I have so many people to thank for my success in the game and the love of the game,” lauded Mallott. “This honor is for many people to share. Of course I had my parents’ support and my mom was able to go to so many of my matches in Toledo and she even traveled with me when I went to some national tournaments in my later years. Mallott currently works and gives lessons at White Pines while also giving lessons at Auglaize Golf Course, The Golf Shop in Napoleon and at Crosswinds Golf Club in Perrysburg.